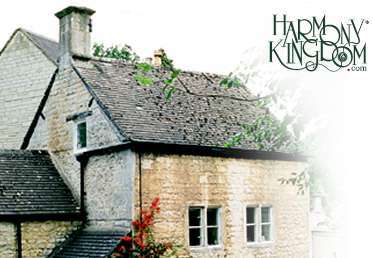 Harmony Kingdom’s unique collections are handmade of crushed marble and resin in the tradition of the English cottage industry. Artistic Director Martin Perry oversees a growing group of talented artists from Wimberley Mills, his headquarters in the picturesque Cotswolds region of England’s West Country. The whimsical animals of the Treasure Jest series, the beautiful blooms of Harmony Garden, and the entire Harmony Kingdom range all display the attention to detail and quirky sense of humor for which Harmony Kingdom’s artists are known.